With the way the news is today, you would be completely justified in thinking that there is no good left in the world. Despite the fact that I’m completely immersed in the happenings of the world, I often find myself thinking that as well. Then stories like these come along and restore my faith in humanity, as well as my faith in the United States military. David Eubank is nothing short of a hero the likes of which you’ve only ever read about in war novels and comic books. 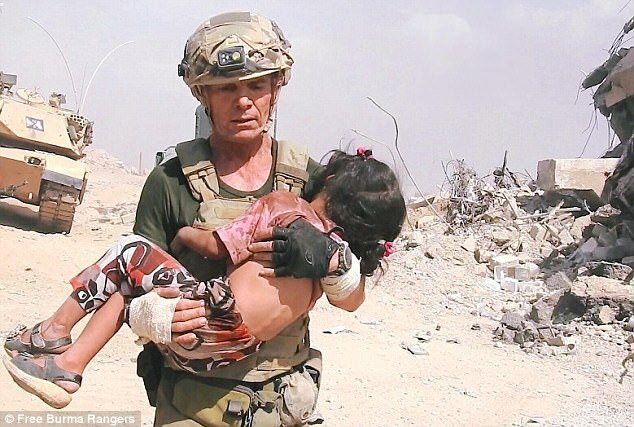 He risked being shot, killed and/or captured by ISIS fighters in the city of Mosul to rescue a little girl. The 56 year-old fighter ran across the battlefield while his colleagues lay down cover fire. He returned safely with the young girl, who can be seen wearing a dirty pink shirt, sandals and pink ribbons in her hair. While Eubank emerged unscathed, he admitted that he was 100% prepared to die and knew his family would understand should that have been the case. “I thought, ‘If I die doing this, my wife and kids would understand’,” he told the Los Angeles Times. The Daily Mail has Eubank’s amazing and heart-warming backstory. 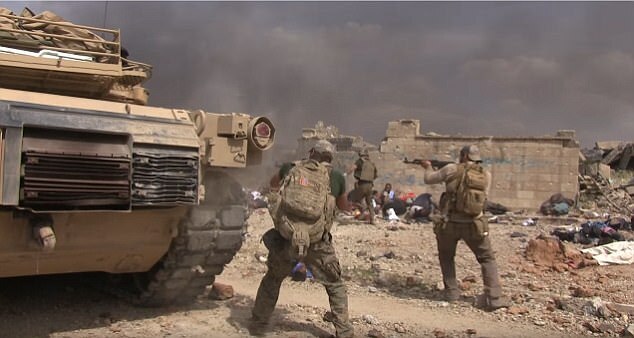 Eubank, who founded the Christian humanitarian group Free Burma Rangers after retiring from the US Army, led the group along with his wife Karen and their three children ages 11 to 16, into Mosul after hearing horror stories of ISIS’s treatment of civilians. ‘I believe God sent me here, and I don’t think about security… but I always ask myself if I’m doing it out of pride,’ he told the Times. 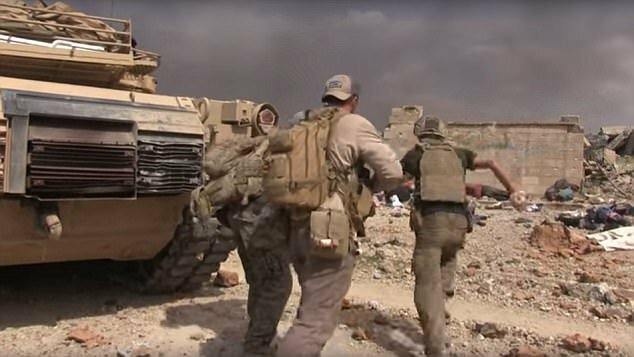 Not long after the rescue, Eubank, who grew up in Texas, and his family returned to the US, but he has said he is already thinking of another mission to Iraq. This is a man who has truly dedicated his life to helping the people who are being harmed by the day-to-day activities of the ISIS militants. Everyone in America should be proud of the work he is doing and endeavor to help him in any way we can. God bless you, David Eubank.